Posted by Maggy Parries on Aug 28th, 2016 and filed under Allgemein, Breaking News, Featured, Markets. You can follow any responses to this entry through the RSS 2.0. Both comments and pings are currently closed. Brick-wall confidence of Bahraini mega project developers has been underlined by recent reports from REIDIN, a property business analysis firm, revealing growing demand in the real estate sector amid construction and tourism markets expansion. 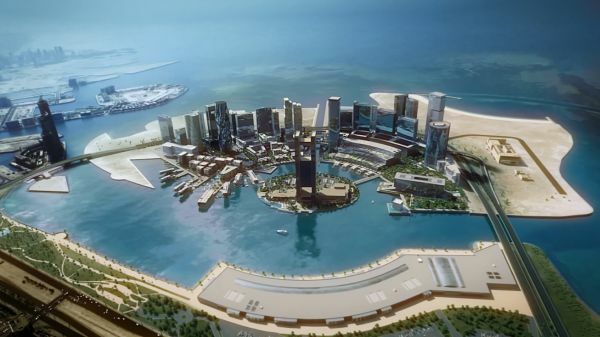 “As such, Bahrain Bay Development, as a master developer is able to overlook short-term blips in the market including fluctuations in oil prices. Master planned developments are unlike consumer goods which are quick to produce and quick to get absorbed. Real estate products take time to plan, develop and get absorbed. Bahrain, like most GCC countries is also exposed to a cyclical market.